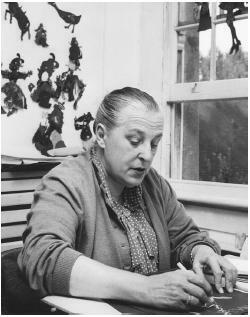 My summer project subject was the amazing and inspirational Lotte Reiniger, a women, born and raised in Berlin, Charlottenburg. 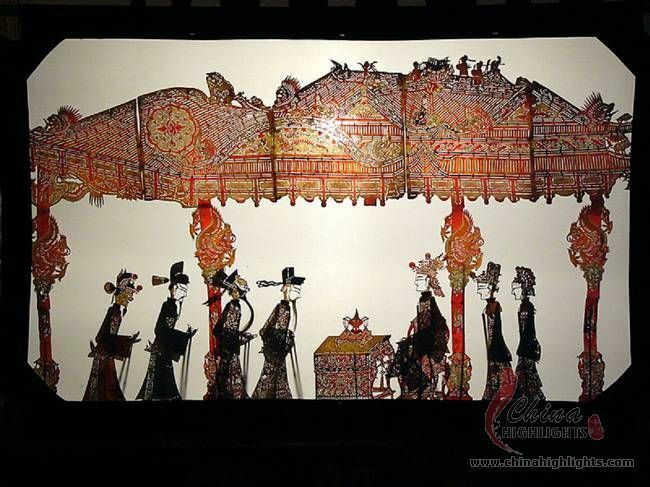 From a young age she loved art and puppetry, especially the Chinese art of Silhouette Puppetry. 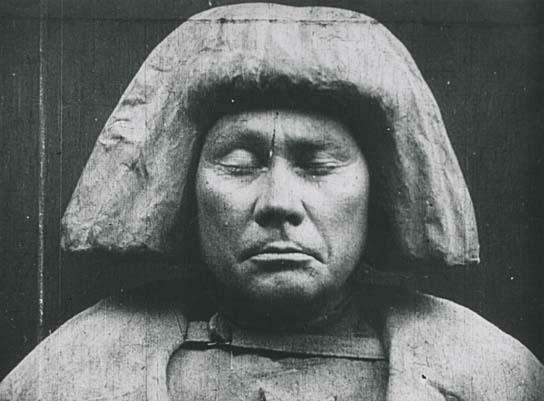 As she grew older she expressed a love for the cinema, and was soon fascinated by the work of Paul Wegener. 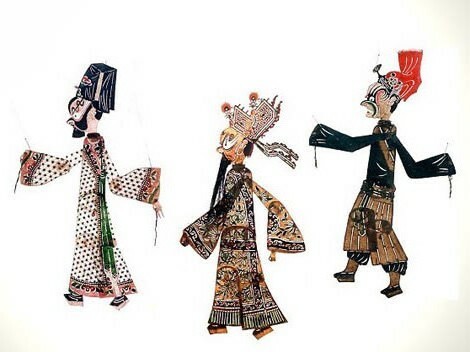 Featured above are some found examples of the traditional style of silhouette puppetry. As you can see the main different are the use of colour actually in the puppets which wasn’t ever used in Lotte Reiniger’s work, they are also very detailed, far more detailed than the work of Reiniger, however she did you the same method to create moving parts, so the puppets could move realistically. 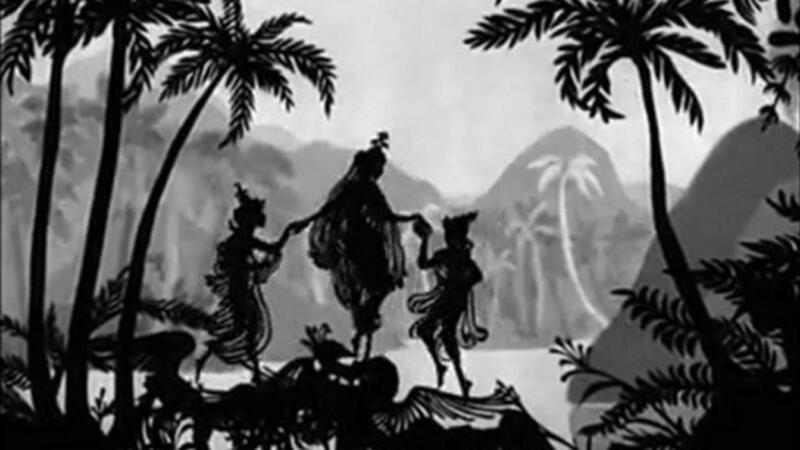 You can see why Lotte Reiniger would become obsessed with this beautiful artistic technique, and the similarities are undeniable, however Reiniger made her work very much her own, using black card, and putting a background in to create an atmospheric background to the different scenes. Such as this scene from her short film the Magic Horse (1953), a really interesting short film, where the backgrounds give context to the scenes. 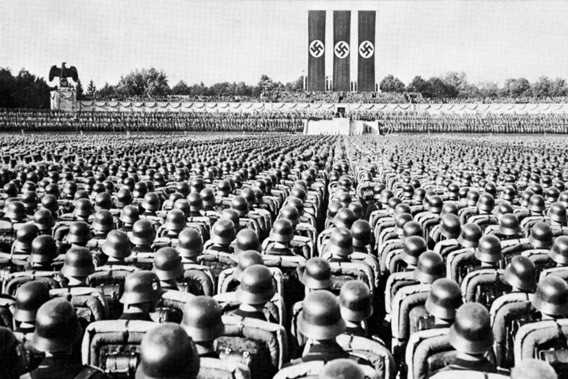 As a teenager she went to a lecture by Wegener talking about the possibilities of animation. 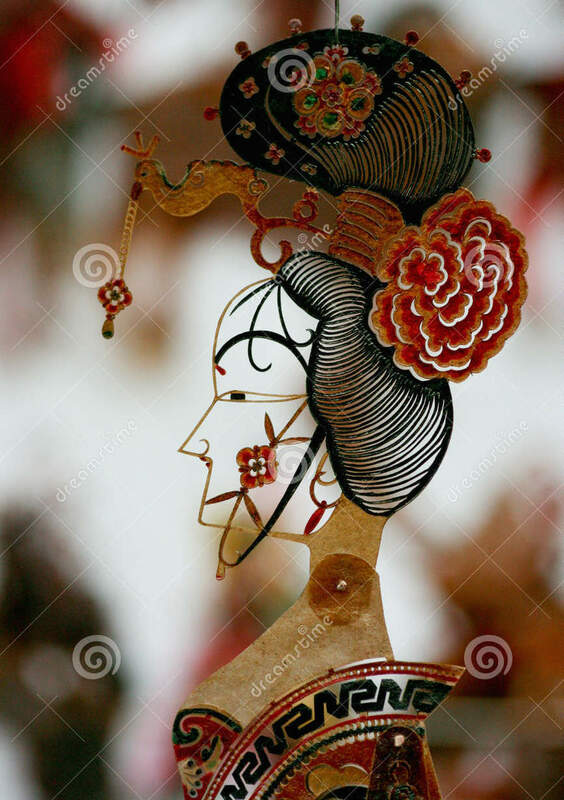 She convinced her parents to allow her to join a acting group Wegener belonged to, where she began making silhouettes of the actors around her, was creating title cards for Wegeners films, many featuring her silhouettes. Soon she was making elaborate Title Cards for Wegener’s films, many of which featured her iconic Silhouettes. 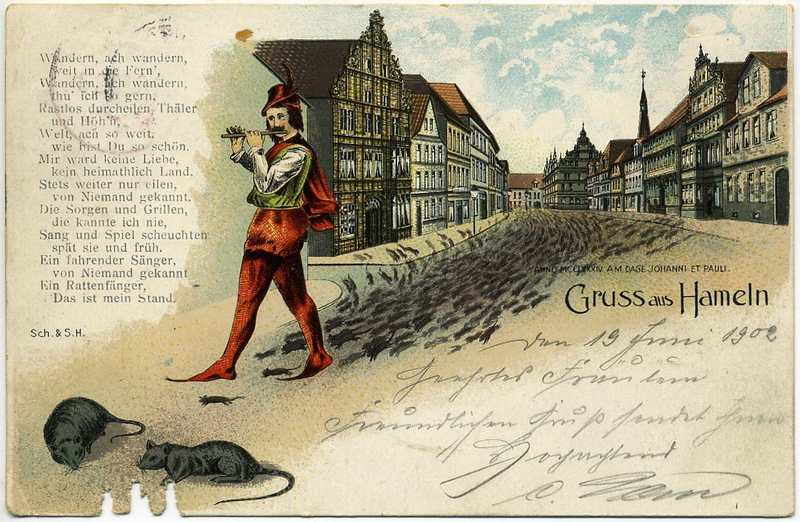 It was in 1918 Reiniger animated wooden Rats and created the animated inter titles for Wegeners Der Rattenfanger Von Hamelin (The Pied Piper of Hamelin). It was this that led to Lotte Reiniger being admitted into the ‘Institut Fur Rulturschung’ an experimental animation and shortfall studio. 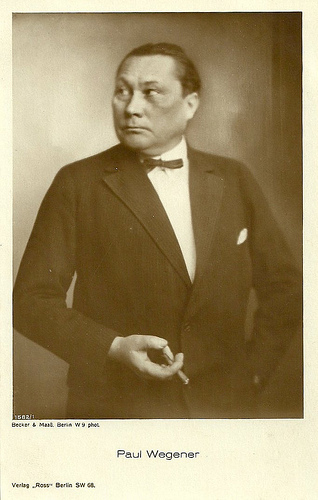 It was here that Reiniger met her future partner and husband (from 1921) Carl Koch. Carl Koch designed her animation studio and became her Producer and Camera Operator until his death in 1963. After years of successful film making and animation Lotte made her first feature length film ‘The Adventures of Prince Achmed’ in 1926, anticipating Disney’s first animated film ‘Snow White’ in 1937 by over a decade. 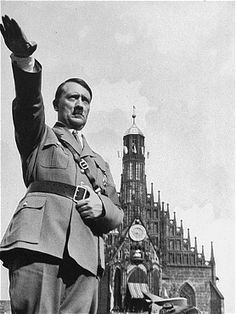 Reiniger and Koch decided to emigrate with the rise of Nazi Party but no country would give them a permanent visa, and so the couple spent 1933-1943 moving from country to country, staying as long as their visa’s would allow. 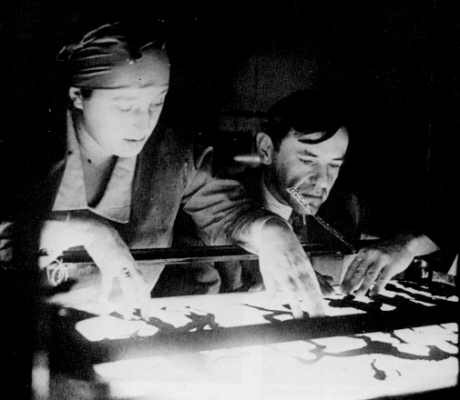 During this period Lotte Reiniger worked with Jean Renoir in Paris and Luchino Visconti in Rome, and made 12 films during this period. 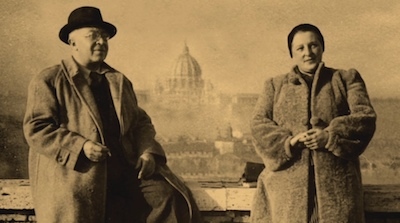 When the WW11 commenced in 1939 they stayed with Visconti in Rome until the Christmas of 1943 when Reiniger and Koch returned to Berlin to Care for Reindeer’s sick Mother. This is when Reiniger discovered many of the original negative of her early films had been destroyed by a blast from a hand grenade. In 1949 Reiniger and Koch to London where she made a few advertising film, which was when she became friends with ‘Freddie’ Bloom , whom asked her to create a new Logo for the ‘National Death Childrens Society’, the design she made was used right up until the 1990’s. With the help of Louis Haggler Jr. in 1953 Reiniger founded Primrose productions and in just over two years they produced more than a dozen short tales based on the classic Fairy Tales by the Brothers Grimm for the BBC and America Television. After Kochs death in 1963, Reiniger made no films for 10 years, becoming a near recluse, her films however were enjoying a revival, and in 1969 she was invited to visit her home country for the first time since her emigration. 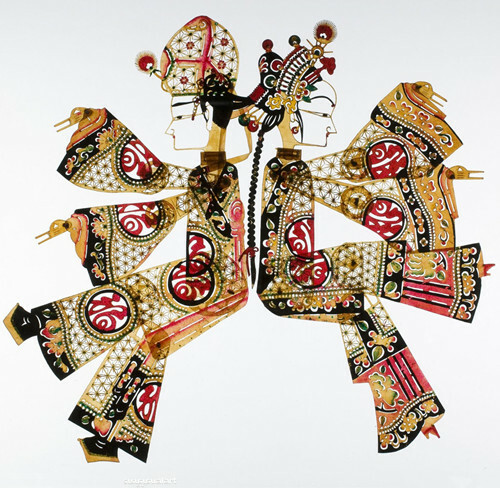 In 1972 the artist was awarded the Firmband in Gold and on her 80th birthday she received the great Cross of the Order of Merit of the Federal Republic of Germany. 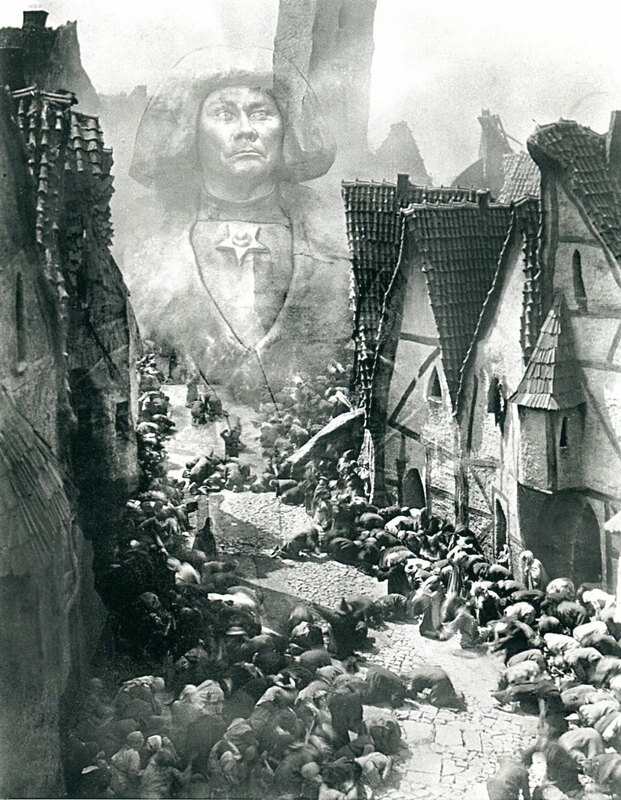 Reiniger was invited to do a lecture tour of North America,d describing herself as ‘a primitive Caveman artist’. Inspired, she made 2 more films for Canada, proving she never lost her touch, after years of producing nothing. 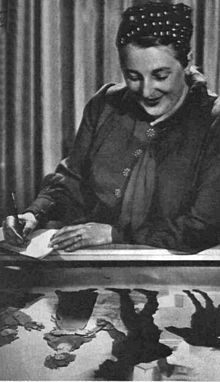 Lotte Reiniger died in Dettenhausen Germany on the 19th June 1981 at the age of 82. Very interesting blog. I have never heard of Lotte Reiniger and find her story quite interesting. Being a woman myself, a writer and a pastor, I always find other women who strive to achieve their dreams and visions very interesting and encouraging. I admire her work. Thank you for sharing your piece about her life. Thanks for that, I created this blog to share my university experience with my tutors, and my tutors knew I loved paper cut at the time and showed me into her direction, not many people are aware of her but shes made some truley beautiful and extrememly inotive at time and I have respect for anyone that do things they have a passion for despite hurdles. Glad you found the piece interesting.